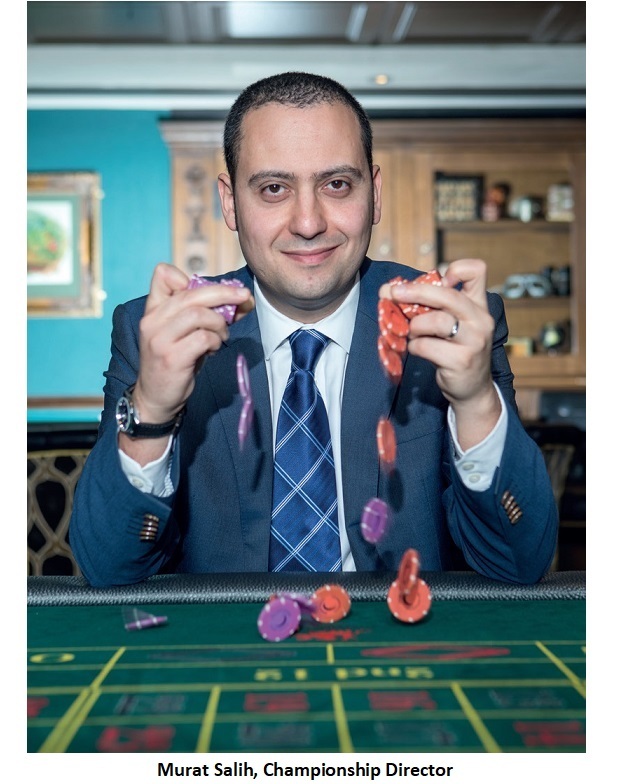 Tracy Damestani, National Casino Forum says...This year saw the UK Dealer Championship hosted in Genting International Casino, Resorts World Birmingham, a wonderful venue that set the stage for what was to be an enthralling day of competition. 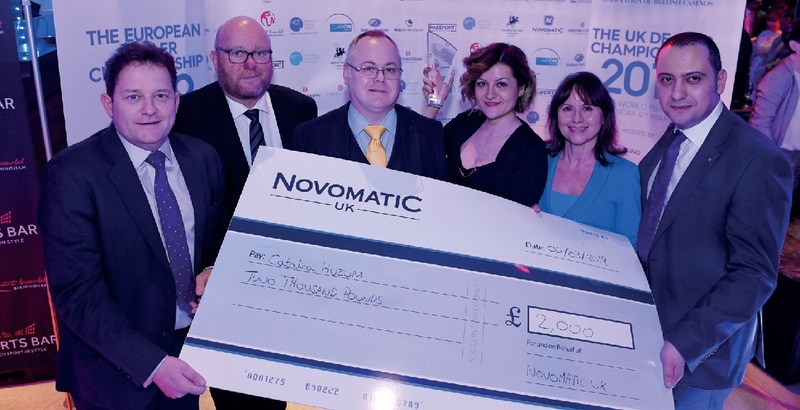 26 Competitors from land-based Casinos around the country put their dexterity, hospitality and mental agility to the test to see who would take home the £2000 Cash Prize, sponsored by gaming technology company Novomatic. 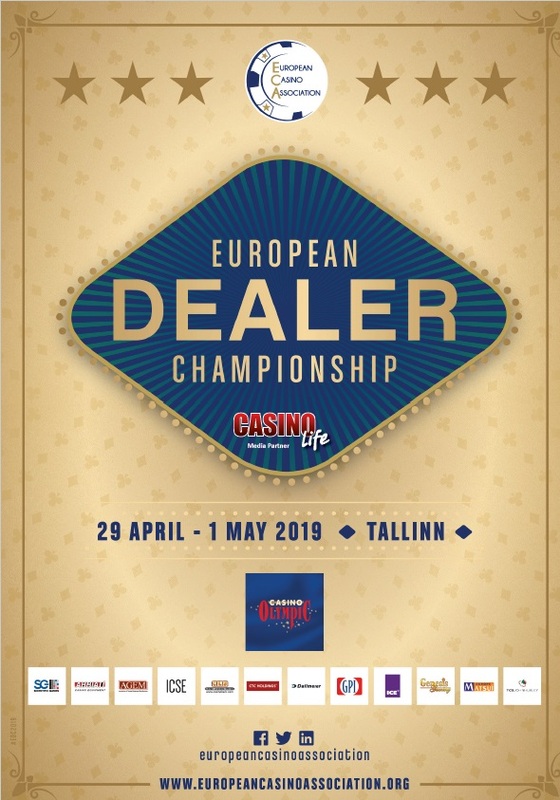 The winner will also represent the UK in the European Dealer Championship, 29th April – 1st May, in Tallinn, along with the First Runner-Up, who takes the £1000 Cash Prize, Sponsored by Clarion Events. It was great to see such high standards of competition that was only matched by the spirit and camaraderie shown throughout the day by all Competitors and Judges. 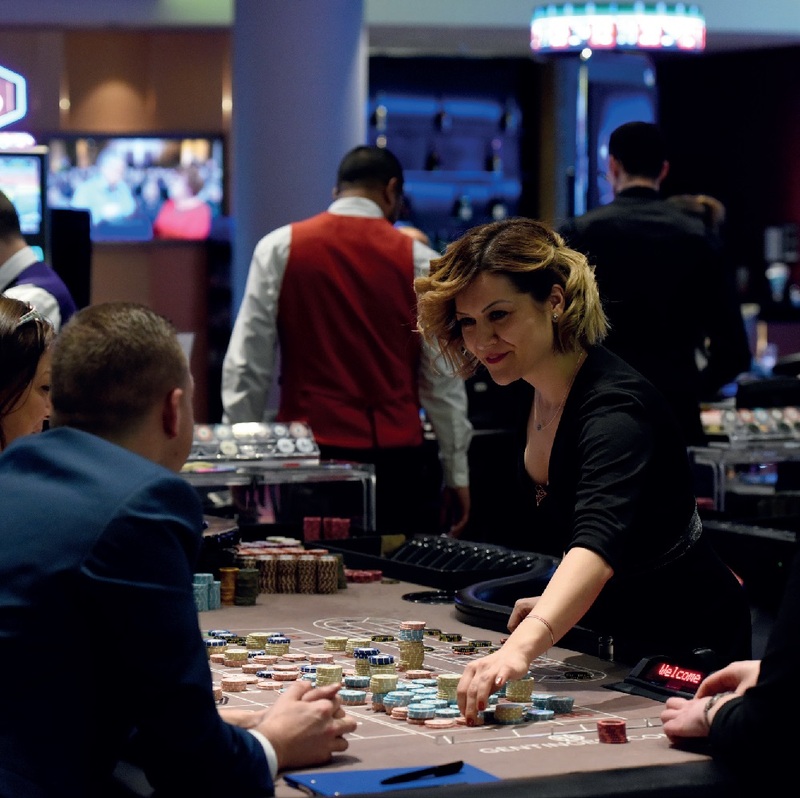 The best Croupiers command the Casino floor, leave the customers smiling and show great professionalism and skill. When all this was taken into consideration Catalina Huzum of Les Ambassadeurs Club was a worthy winner and the first female winner. 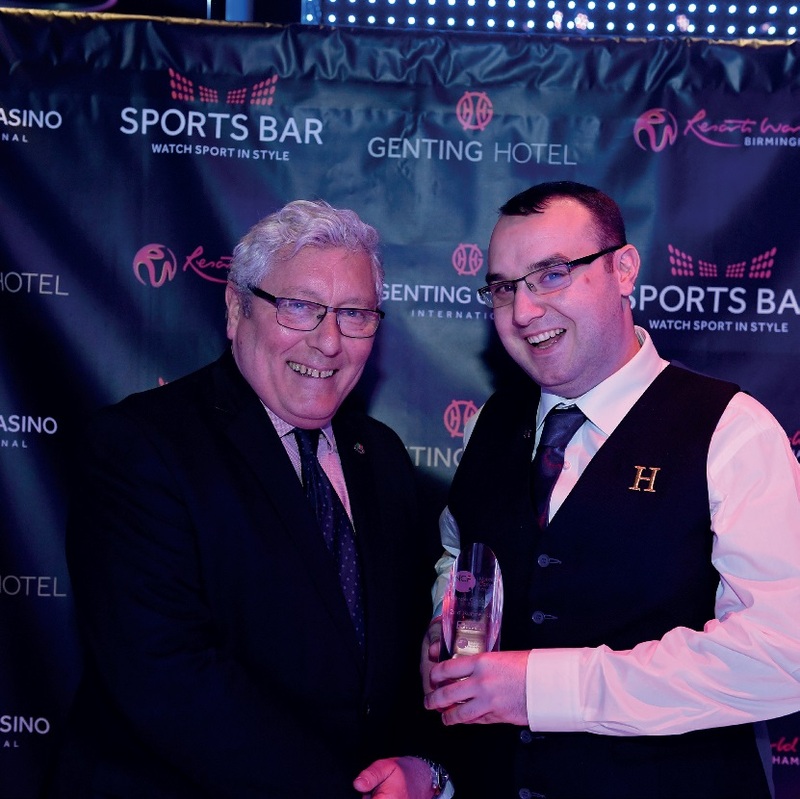 The competition was closely contested with Chris Hall, of Crockford’s Casino London, as the First Runner- Up, and Damon Ryan, of the Hippodrome Casino, taking home the Second Runner-Up £500 Cash Prize, Sponsored by TCS Huxley. Side Events were also set up to test the Croupiers on Stack Pushing, Chip Cutting, Chipping, Card Handling, and Mathematic skills, which provided added entertainment for competitors, judges and spectators alike. The After Party, sponsored by Galaxy Gaming and Passport Technology, allowed everyone involved to relax and provides a wonderful networking opportunity over drinks and dinner between competitors, judges and media outlets, which helps the Casino industry grow and stimulates innovation and creativity. The evening summed up what the UK Dealer Championship is about, fierce competition followed by operators working together to help better and further the Casino industry. This year the first World Dealer Championship in 2020 was announced by Tracy Damestani, Vice Chair of the European Casino Association (ECA) which will bring the best Croupiers from across the world to Deal it out for the chance to be crowned the World’s best Dealer. Everyone is very excited for this new chapter and to put the entertainment and skill of the Casino Industry on the world stage. Hopefully it will highlight the skill, hard-work, talent and Flare that goes into being a Croupier, opening up new career avenues to everyone. 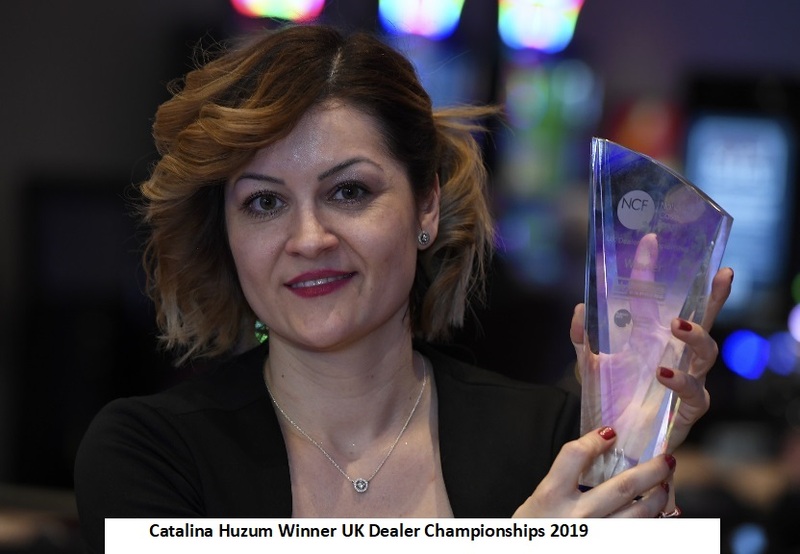 Casino Life spoke to Catalina Huzum 2019 UK Dealer Championship winner & Murat Salih Championship Director of this years Event. How does it feel to Win the UK Dealer Championship 2019? It feels amazing!!! To know I am now officially the UK’s best dealer is just an unbelievable feeling, one that will stay with me for a very long time. When I found out I would be representing Les Ambassadeurs Club at the UK Dealer Championship 2019 I thought it would be an incredible opportunity… I was curious and excited at the same time; I had a look at the previous years winners and realised that male Dealers had dominated this field, I was massively inspired by that and gave my best shot to succeed in what I love doing! I have always thought that women are strong and that there is no reason why they cannot succeed in this job. My target was to be the first ever female to win this competition, it was the right day, the right time and I loved every minute of it. How did you wind up working in the Casino Industry? My adventure in the casino industry began 14 years ago by luck. Having finished high school I was searching for a summer job, an advert in a Romanian newspaper had captured my attention and shortly after I joined a dealing training school. One month later I got a full time job as a croupier…. “Place your bets”. I remember getting passionate about this job from day 1, I really enjoyed the environment, I liked the night shifts and every day at work was a new challenge filled with fun. Fourteen years later I am proud to be part of this incredible industry and I will keep investing on my development to make the most of it. How would you describe the experience of the competition? Participating for the first time to UK Dealer Championship was a great experience for me; the team behind the competition did an incredible job organising every single detail. They made us feel special and in exchange we did our best to compete at the highest level while having a lot of fun. Are you excited about the Grand Final next month in Tallinn? I am very excited!!! I can’t wait… I will compete with the best croupiers from all over Europe, I feel blessed and I will give 100% for myself, my club and all dealers which shared this incredible day with me. I will meet new people from different countries and I am sure it will be a great challenge for me. Representing the UK and Les Ambassadeurs Club will be an honour and I hope my passion and motivation will help me achieve a great result in Tallinn. How has the news of your triumph been received by your colleagues at Les Ambassadeurs? Les Ambassadeurs Club is the best casino I have ever worked in my career. The Les A experience is an incredible journey for anyone who is lucky enough to be part of it. As a member of staff I feel part of an incredible family who continuously strives for excellence. We are rewarded and looked after on a regular basis with an incredible amount of opportunities. We had 4 croupiers participating at the UK Dealer Championship this year; the company supported and helped us during the training stages approaching the competition. The management team and our colleagues joined our training sessions and helped us prepare for the competition in the best possible way. We felt encouraged, valued and ready to go and show what Les A is made of. We had a lot of supporters during the competition time, some of them travelled from London just to be with us. On our return to the club we were welcomed back like superstars, I was incredibly proud to have been the ambassador of such an incredible team and even more so to have repaid their trust with the Trophy. See you in Tallinn. It was a very fun and enjoyable Championship, and the venue was superb. Thanks. This is the first time the championships have been held outside London and I think it benefitted by doing so. There was a much higher entry level from the regional casinos, which can only be a good thing. And we lifted the entry cap of two participants from each company to allow more entries, which worked well. Organising such a big tournament must require a lot of planning by you and your team? It’s a huge job because we’re looking for every casino in the country to hopefully be involved. Hearteningly, there was a higher number of female entrants this year and more from outside of London. The Standard was high at this year’s event and all the contestants clearly found the experience a great opportunity to show their skills. The standard this year was exceptional, and made me and the judging team fiercely proud. Working in a casino can be like living in your own bubble, and it’s important to meet your peers and compare your skills. Also, to share experiences. It’s a very social event and heart warming to see the camaraderie. Organising all the judges must have required a lot of work? If anything, this was the easiest part of the job. Everyone I asked to take part in the judging was an immediate ‘yes’ and, like the competitors, it was good to see old faces I hadn’t caught up with in years. Importantly, they were honoured to be part of the event. What we’ve got to remember is this competition is important. It demonstrates the immense skill within the industry in the UK, and its commitment to world class training and career development. It also allows the winners to show their expertise, firstly in Europe and then, hopefully, on a global platform at the inaugural World Dealer Championships in 2020. TCS John Huxley have been a supporter of the UK Dealer Championships for many years, which is something I am sure you and your colleagues at TCS John Huxley are very proud of given how much pride and enjoyment is gained from all those whom enter the competition each year. What are you thoughts on this event from a sponsorship standpoint? Can we expect to see you at the Finals at the end of next month? Events in this industry that assist with promoting the skills and abilities of those employed is vitally important for this sector so the support of Clarion and the other sponsors is very gratefully appreciated by all involved. Those are kind words, but it’s really us who appreciate the chance to be involved in something as important as this, a platform for just as you describe: pushing skills, recognising abilities of those who have such a pivotal role in the customer experience within casinos. The support by Clarion with both the UK Dealer Championships and the European Final must be for you and your colleagues very satisfying to know that the contribution the organisation makes is so valued by all those that compete. Absolutely. 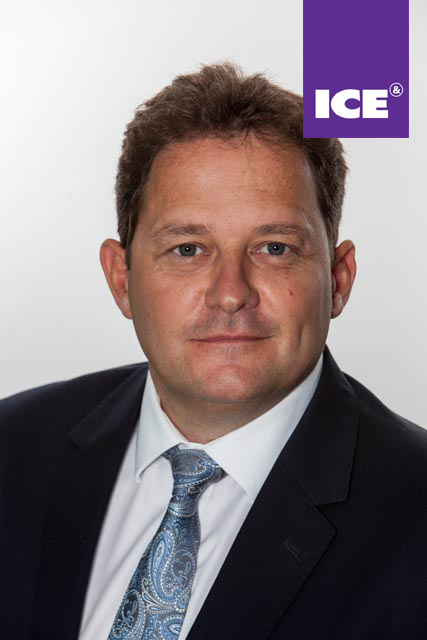 As Clarion Gaming, organisers of ICE London, we’ve been partners for some years now and there’s a very good reason for that: it reflects our core values. We believe firmly in helping to create positive experiences and rewarding journeys – and the Dealer Championships do exactly that. The fact that they give back to the industry, that they offer the chance for those on the ground, in the customer-facing roles, to get recognition for their incredible work and skills is something we feel passionate about. This year’s final will be held at the Olympic Entertainment Casino Tallinn which is yet another impressive Destination Casino. I think that’s an important point. It not only gives the finalists an incredible experience, but it shows just how seriously the ECA and NCF, long-time partners of ours, consider the Dealer Championships. It’s a fitting nod to the high standards and skills across the industry and we wish all entrants the very best of luck!